The holidays are a fun and joyous time but also a very busy one, and holiday stress and anxiety in children can and does happen. During the holidays, there are lots of fun activities and events going on, both at home and at school. And while that can be a good thing, the reality is that all that hustle and bustle means schedules are often out of whack, bedtimes get pushed back, and routines are disrupted. 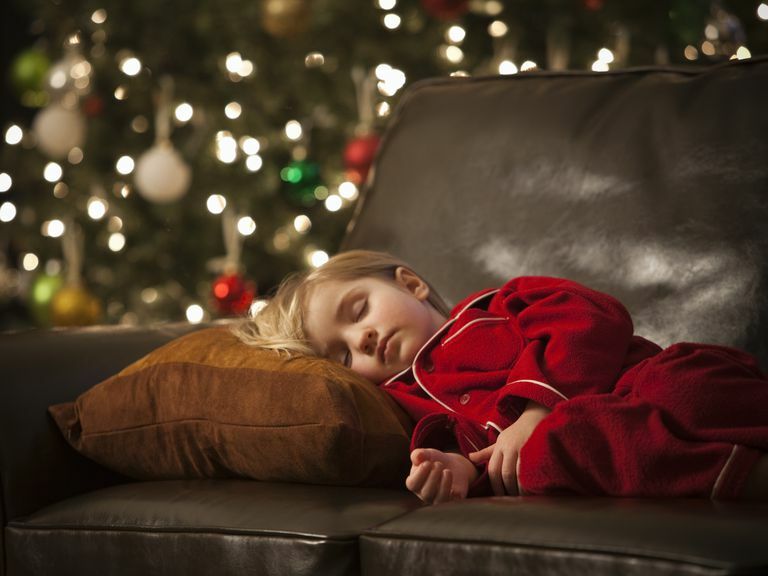 As a result, it’s inevitable that kids may feel some degree of holiday stress. The most important way parents can help ease anxiety in children during the holidays is by trying to keep things relaxed as much as possible. As with so many situations, the way parents handle an issue can set the tone for how their kids will behave. If you let holiday stress get to you, your kids will definitely pick up on it, and child anxiety is more likely to be a problem in your house. To minimize anxiety in children during the holidays, take steps to handle your own stress and anxiety. Avoid taking your child to places such as the mall or holiday gatherings when he is hungry or tired. It’s hard even for grown-ups to deal with noise and lots of stimulation when they’re not feeling their best; kids get hungry more often and become tired more easily, and may understandably have a tough time being on their best behavior and are more likely to experience holiday stress when they’re exhausted or hungry. Another thing that can fall by the wayside amidst the holiday hubbub is healthy eating. Between all the extra sugary holiday snacks and the lack of time to sit down to regular meals, it can be all too easy for kids to eat less healthy foods, which can contribute to holiday stress and anxiety in children. Try packing healthy snacks when you have to go shopping or run other holiday errands and try to minimize the number of sweet treats at home. Whenever possible, offer healthy snacks, such as air-popped popcorn or apple slices with cheese and crackers and limit cookies and candy to after-snack treats. Big kids love to help mom and dad, especially if they get lots of praise for being responsible and helpful. If you have to shop, ask your child to help you look for an item at the store (fun stocking stuffers for cousins, for example). Giving your child a task will not only boost her self-esteem, it’ll distract her and help prevent any holiday stress and anxiety. A great antidote for holiday stress and the bloated commercialism of the season is helping others, whether it’s by shoveling an elderly neighbor’s sidewalk or by wrapping presents for needy kids at your local church. Helping your grade-schooler become a charitable child will help alleviate her holiday stress and anxiety.